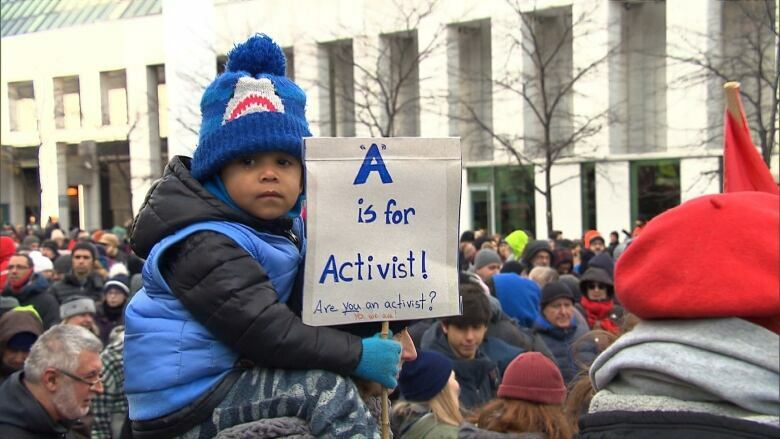 An estimated 50,000 people marched in Montreal to show their support for climate action as part of a wider campaign with sister marches happening in cities throughout the province, Saturday. 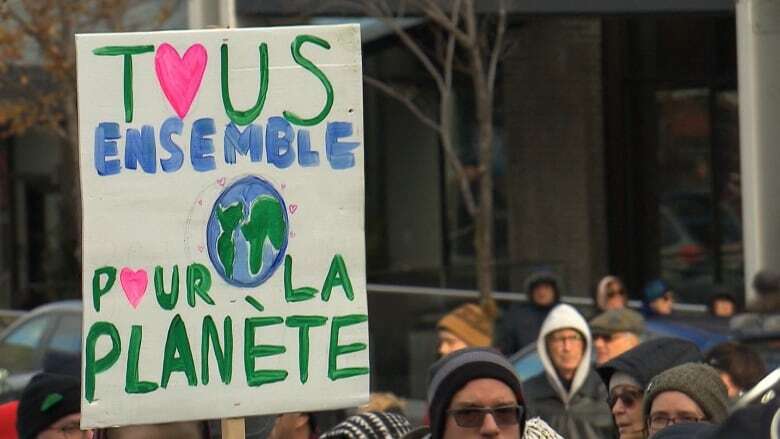 An estimated 50,000 people marched in Montreal to show their support for climate action on Saturday, as part of a wider campaign with sister marches happening in cities throughout Quebec. The march was organized by a group called The Planet Goes to Parliament. 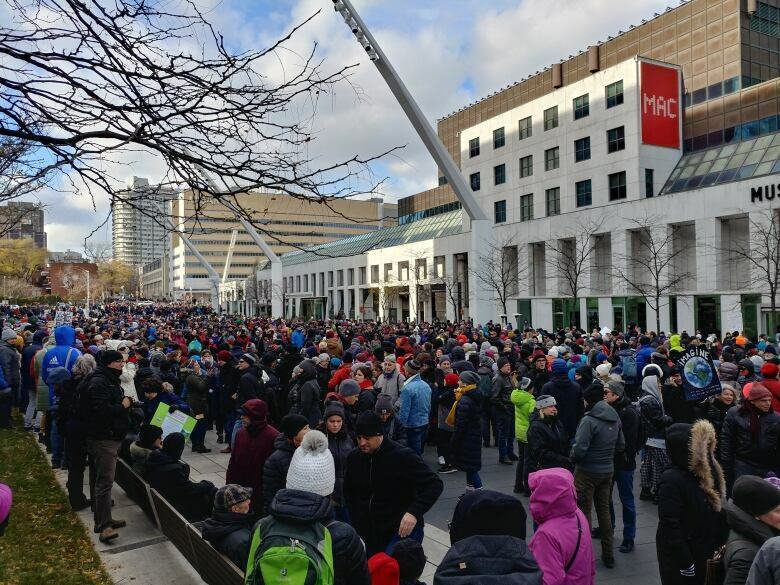 Spokesperson Nathalie Roy said that the movement was born out of increasing frustration from citizens during the recent provincial election campaign. "It started because we needed to channel the indignation we felt about the fact that, during the campaign, there was very little said about environmental issues — where we feel a true sense of urgency." The group has held five protests this fall, and the crowds keep getting bigger. Now with a new government in place, they want to see action on climate change. "François​ Legault said to us a couple of weeks ago that he had heard us, and he was going to make the environment a top priority. Well, we want to see that his actions match his words, and we're not going to give up until they do," said Roy. Legault didn't attend Saturday's march, but his new Environment Minister MarieChantal Chassé was there. Chassé said that the new government has heard the people.and concrete measures are coming. "On Oct. 1, we took notice, and today, we walk the talk," said Chassé. "We're ready to put in the effort." She said that she sees the importance of acting quickly on this file and has been hard at work since taking office. 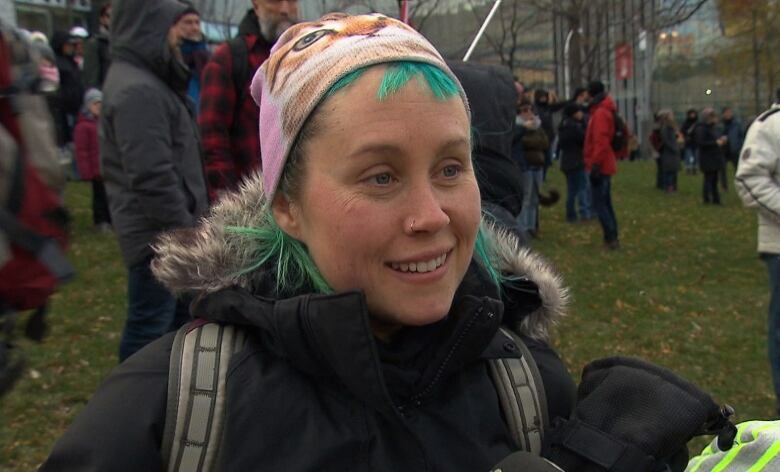 Despite the cold weather, Carling Cozens brought her whole family out to the protest. "I have four kids under the age of 11, and I find it important to make things move for their better environment," Cozens said. The Planet Goes to Parliament already has two more climate protests planned, in Quebec City and in Montreal during next month's United Nations climate change conference — COP24 — in Poland.